Energy producing eco-friendly houses are growing in numbers, with concerns for the environment and rising energy prices, we can see why. Fab Lab House blends sustainable features with extraordinary aesthetics and comforts. 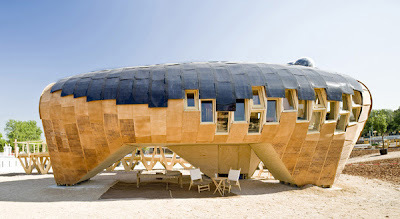 This off-the-grid home produces more energy than consumes – a house using readily accessible building materials that was designed to be applied almost anywhere in the world. 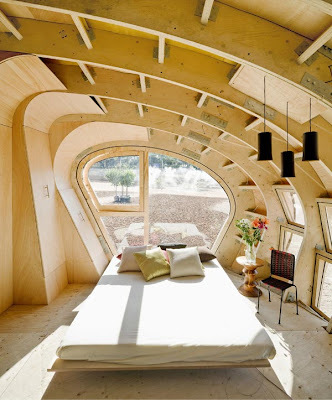 The timber house plan is made using laser-cut plywood, is prefabricated and assembled on location, that minimizing site impact. 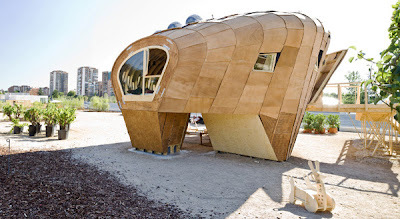 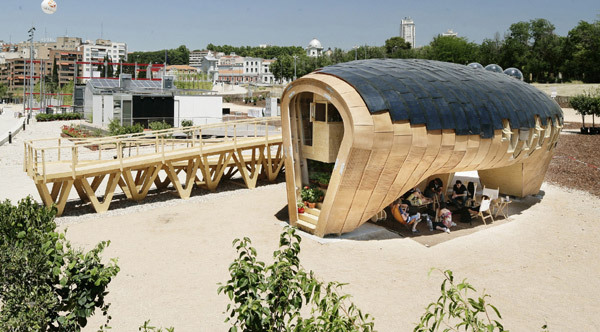 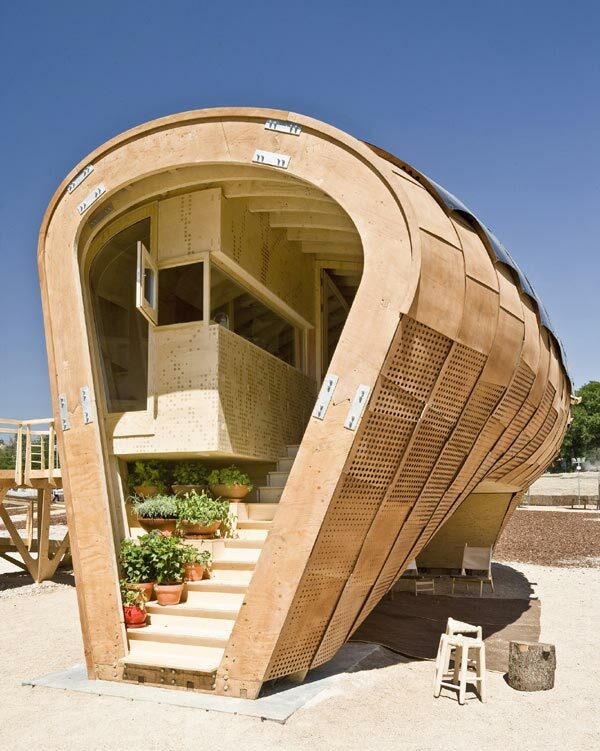 Solar panels adhere to the structure’s curved roof to maximize the sun’s potential.